Star Trek Cufflinks | Boldly dress like you've never dressed before! 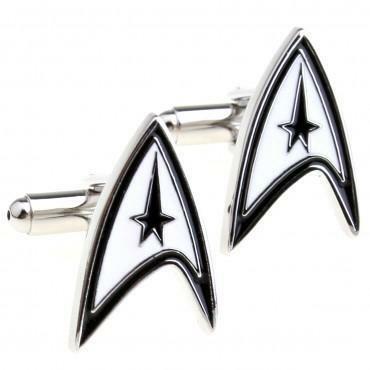 That will make any Trekkie smile! 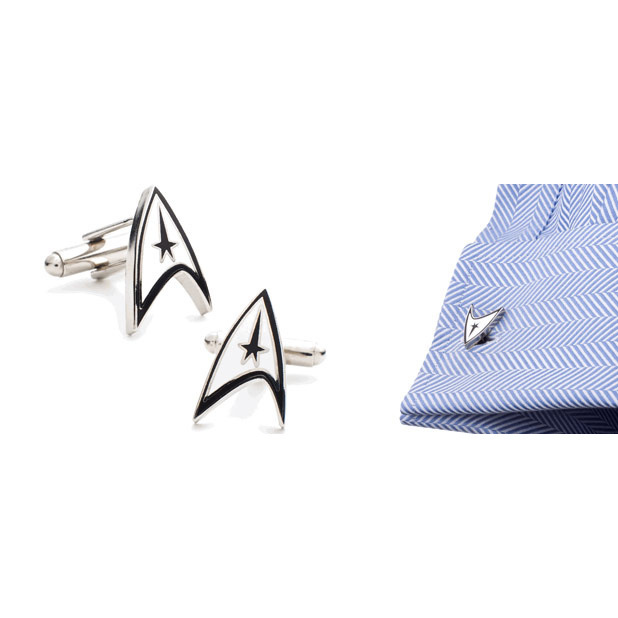 Complete your dress uniform with these licensed Star Trek Cufflinks featuring the Starfleet Delta Shield worn by Captain Kirk and Mr. Spock! Designed in style from enamel and rhodium plated alloy, your Cufflinks won't tarnish over time, and no polishing is required to keep them in tact! 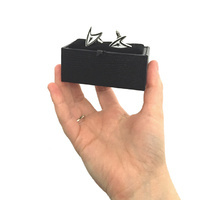 Presented in a stylish black display box with velvet for gifting, it's time to devote yourself to the final frontier and create a new Trekkie fashion phenomenon! 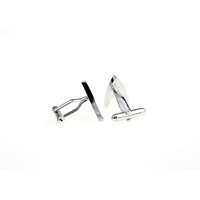 With your Communicator Badge secured safely to each cuff, you can stay in constant contact with the Starship Enterprise!